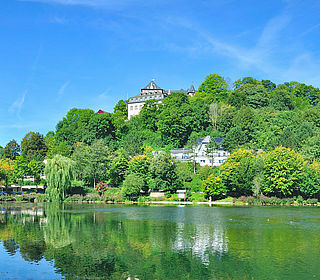 The certified quality hosts of hiking in Germany in and around the AhrSteig look forward to welcoming you in the Ahr valley. This certificate (Qualitätsgastgeber Wanderbares Deutschland) indicates that these providers of accommodation have specialized in the needs of hikers and offer a special service to make staying in the Ahr valley as relaxed as possible. Certified hosts distinguish themselves by not having a minimum stay and offering rooms for a single night. They also offer luggage transfer as well as a transport service to and from the hiking destinations. 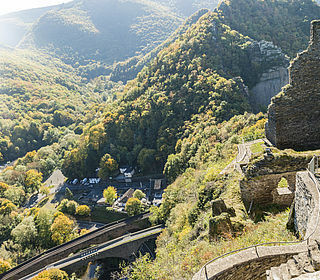 The certificate also means that staff are knowledgeable on the area and are happy to help with recommendations and information about the Ahr valley. Food being an important part of any holiday, the hosts love to indulge their guests with regional fare and produce from the Ahr valley and offer healthful, hearty breakfasts as well as packed lunches for your trip. 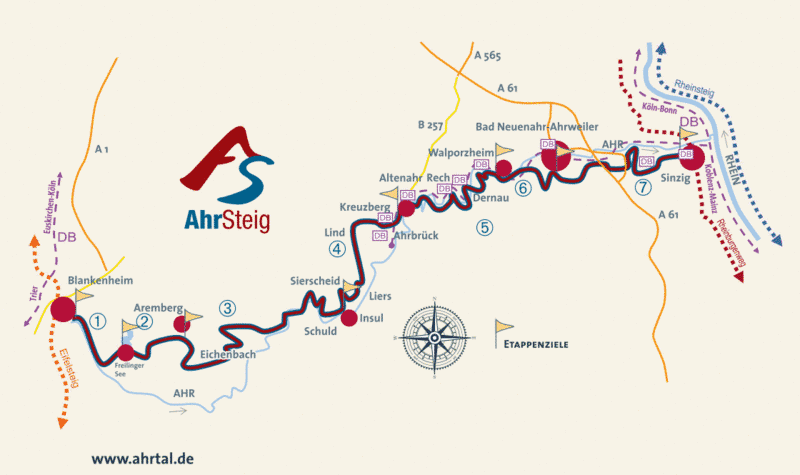 Further hosts you will find by Ahrtal-Tourismus Bad Neuenahr-Ahrweiler e.V. Find hosts in Blankenheim and chill in front of the ahrspring. Holidays in the region Hocheifel-Nürburgring. Find your host. Verbandsgemeinde Altenahr. 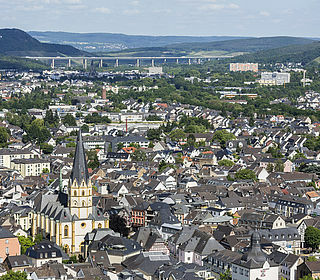 The ahrvalley from its most beautiful side. Find your host. 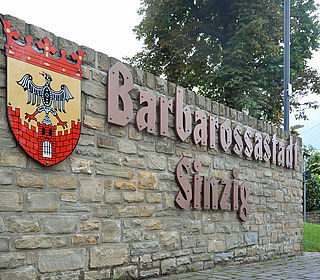 Find your host in the Barbarossacity Sinzig. The gate to our ahrvalley. 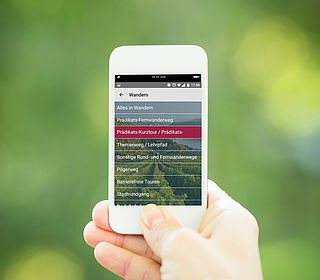 Find further hosts with help from the tourplanner Rheinland-Pfalz.